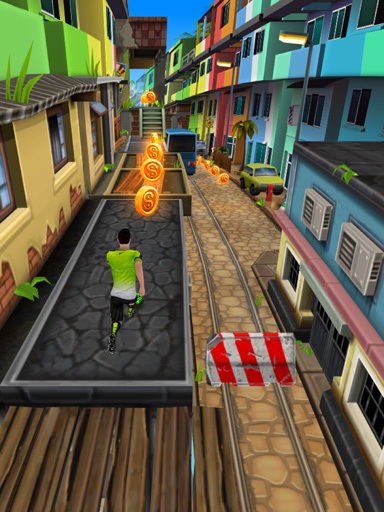 An endless runner is a procedurally generated game wherein the track pieces or cells are stitched together at runtime based on production rules, which essentially creates a unique and infinite world for the player to explore. 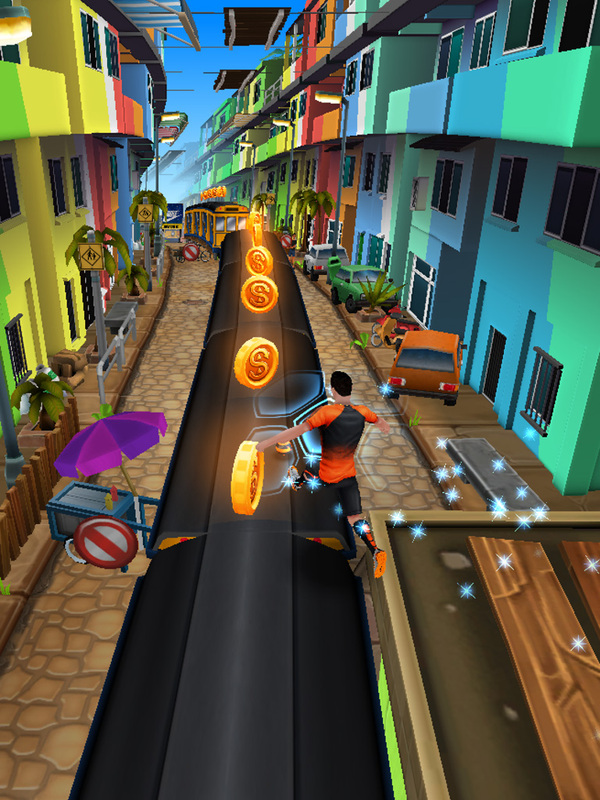 Unlike the other endless runner titles I have worked on, Kick ‘n’ Run utilised a new shooting mechanic, which extended the player’s control beyond swipe inputs to jump, dodge, and roll. 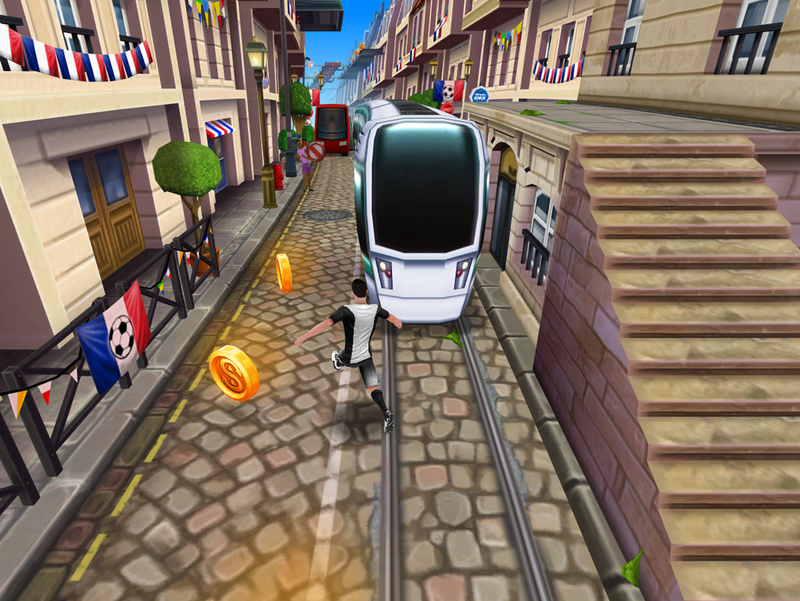 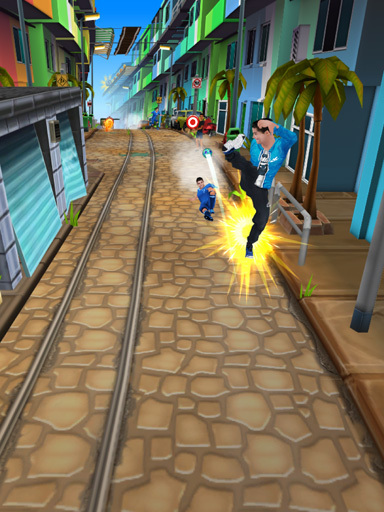 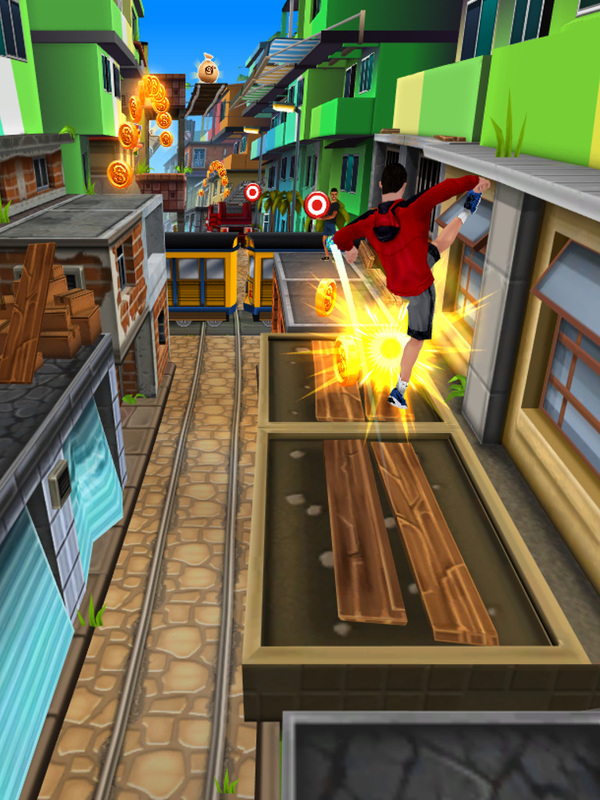 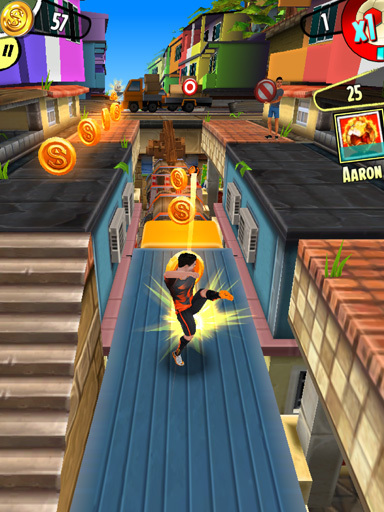 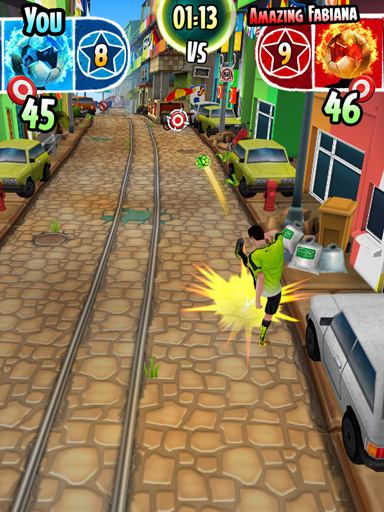 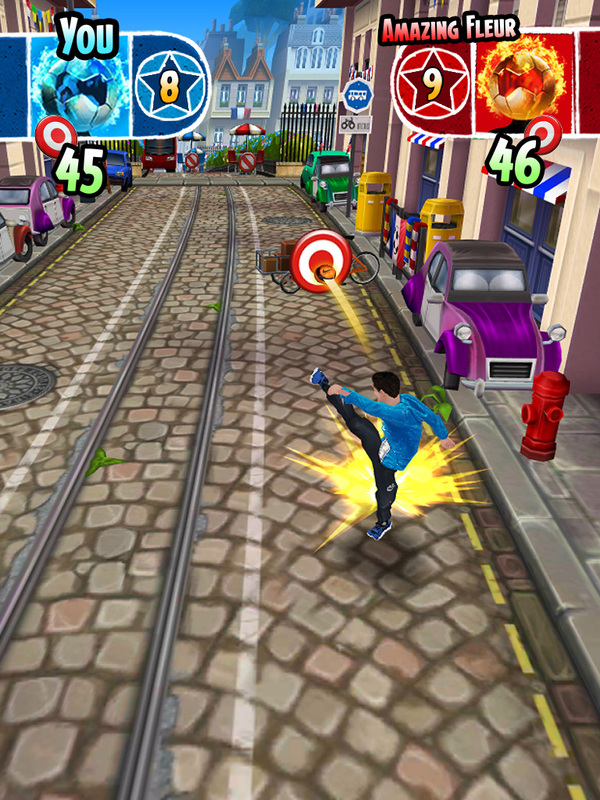 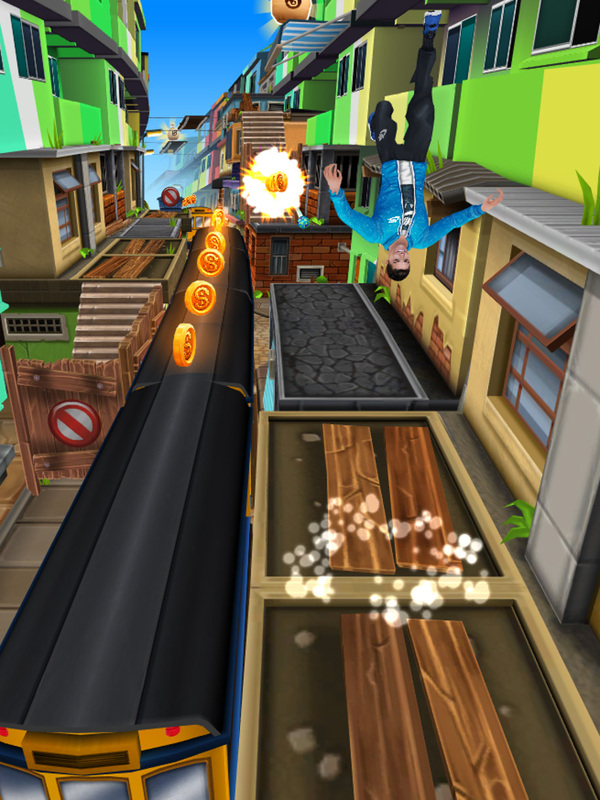 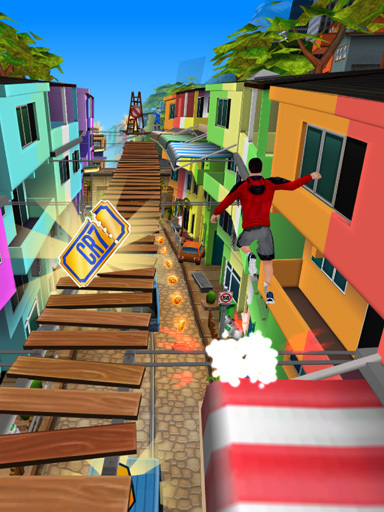 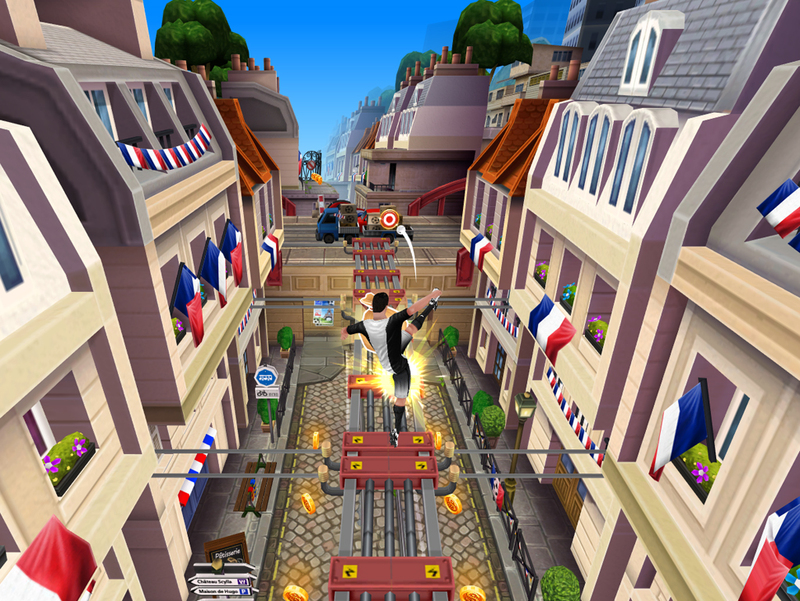 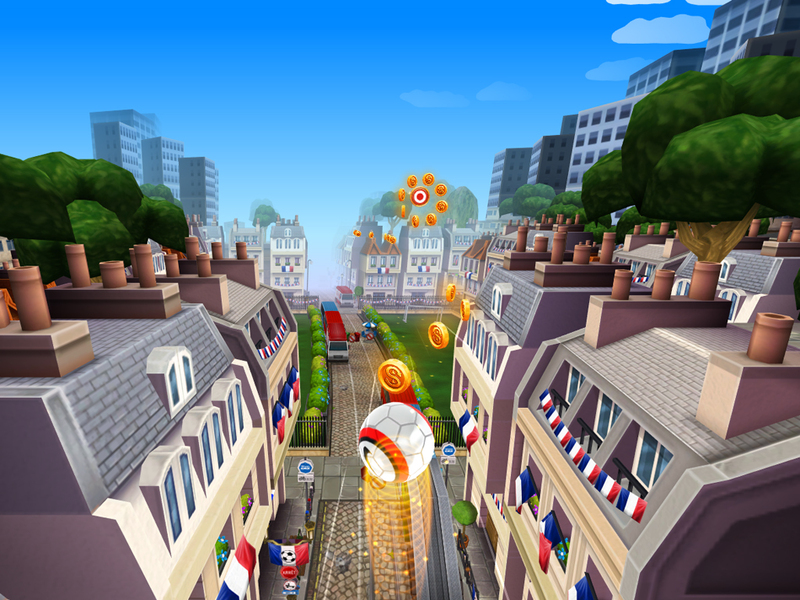 Kick ‘n’ Run was originally launched with a single endless runner game mode, wherein the player simply survived as long as they could, scoring goals for points and soft currency. Once the 1v1 multiplayer was released, the endless runner game mode was repackaged as a practice mode, though it still contained all of the existing content, powerups, and collectibles. 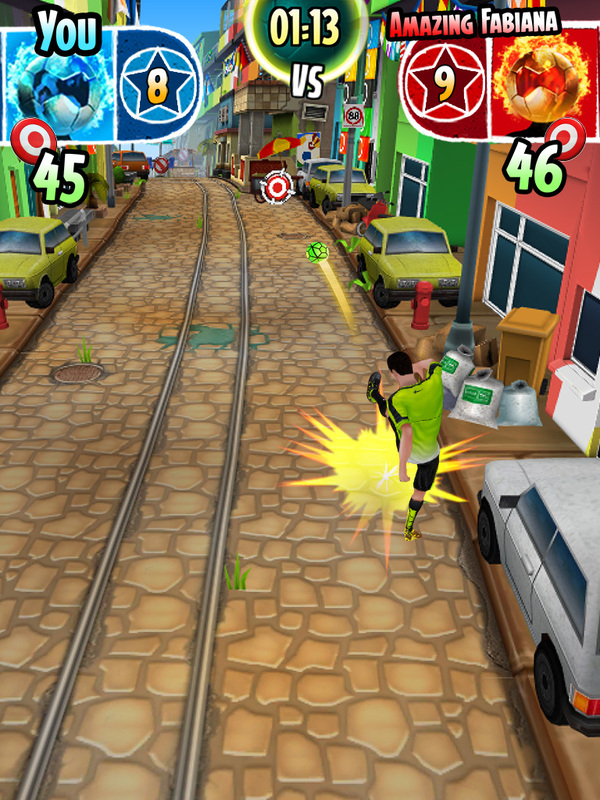 Unlike our previous titles the player’s score was not based on how far they had travelled, rather instead how many goals they had scored. This came in the form of targets appearing throughout the world which the player would try to hit using the new shooting mechanic. 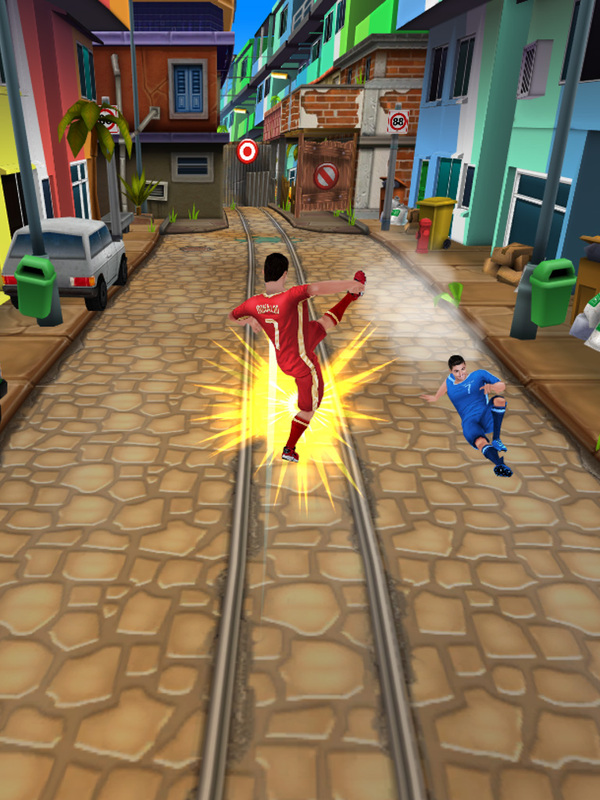 Additionally we also introduced a new type of dynamic obstacle in keeping with the football theming, we implemented enemy players that would change lanes to follow the player before attempting a head on slide tackle. 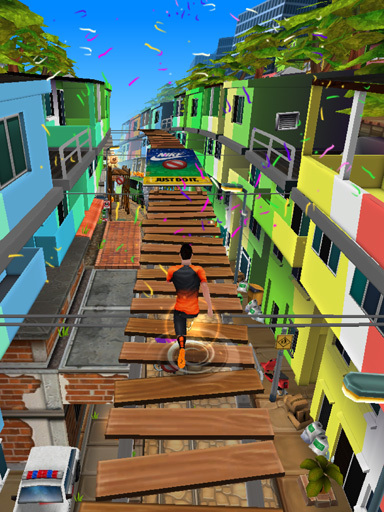 This new obstacle type created new challenges when constructing levels as every potential outcome of an encounter had to be considered to preserve fair play and balance. 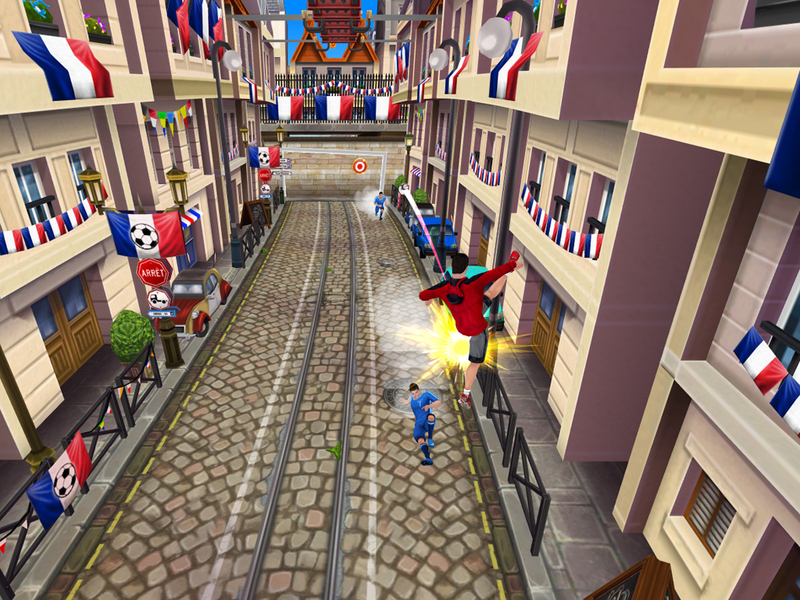 The implementation of the new shooting mechanic had a significant impact on how I designed the level templates. The practices of creating exciting and challenging play through a mixture of rhythmic composition and set pieces did not change dramatically; instead the focus became about creating lots of opportunities to score goals by hitting targets. 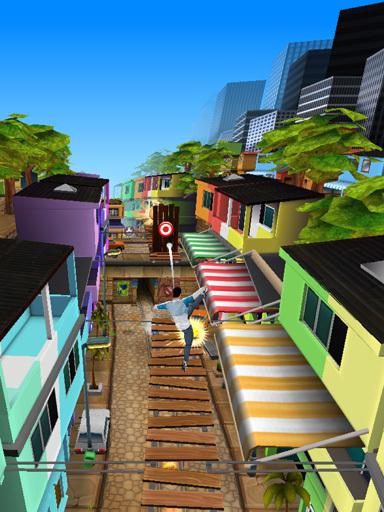 I used these targets in a variety of ways ranging from drawing the player to hidden routes, blocking routes entirely, or overwhelming the player with a sort of shooting gallery layout. 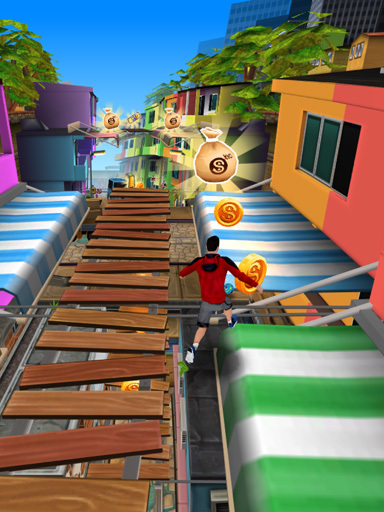 In both Troll Race 2 and Kick ‘n’ Run, we aimed to differentiate ourselves from existing endless runner titles by including the choice of multiple routes. My intention was to give the player the freedom to deal with a challenge through various means in order to add depth to every playthrough. 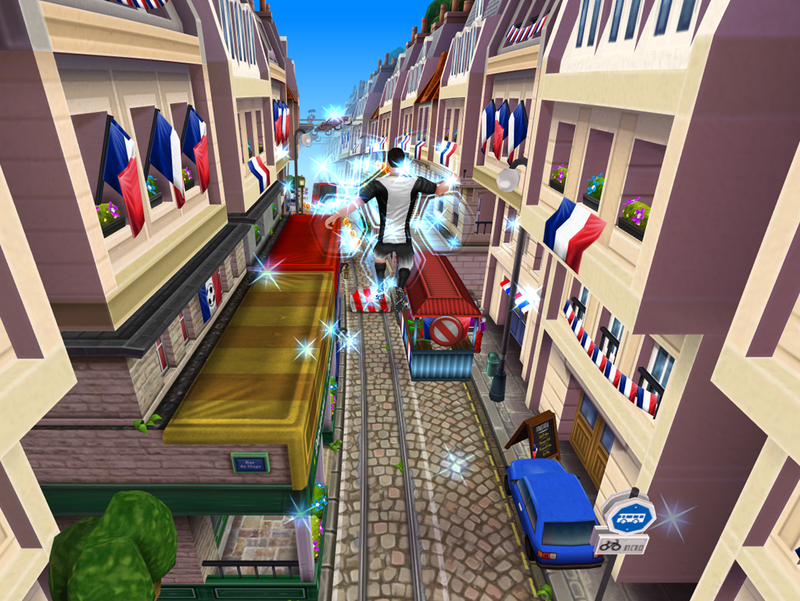 This included masking hidden routes to evoke a sense of exclusivity, then rewarding them with pickups and collectibles to encourage them to repeat this process. 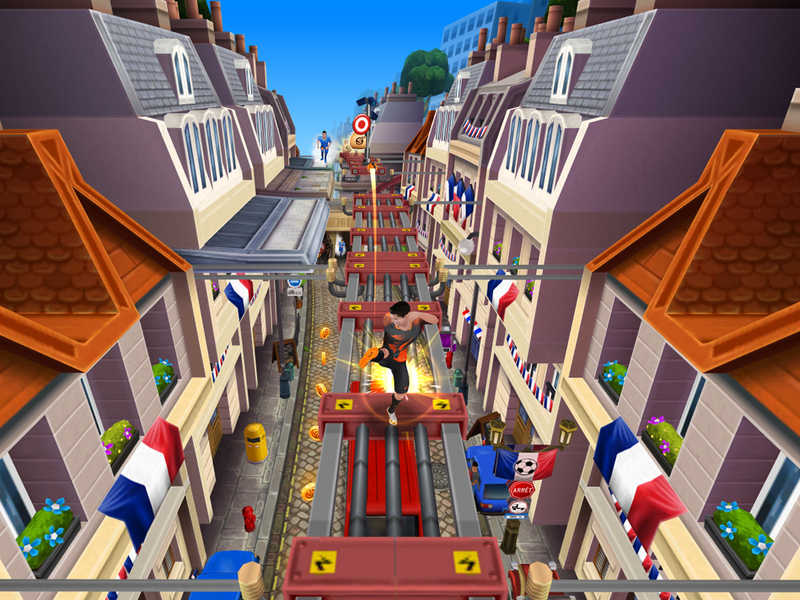 I’m extremely grateful to have been given the opportunity to design all 40 level templates, as I was able to gain a firm practical understanding of complex and modular level compositions. 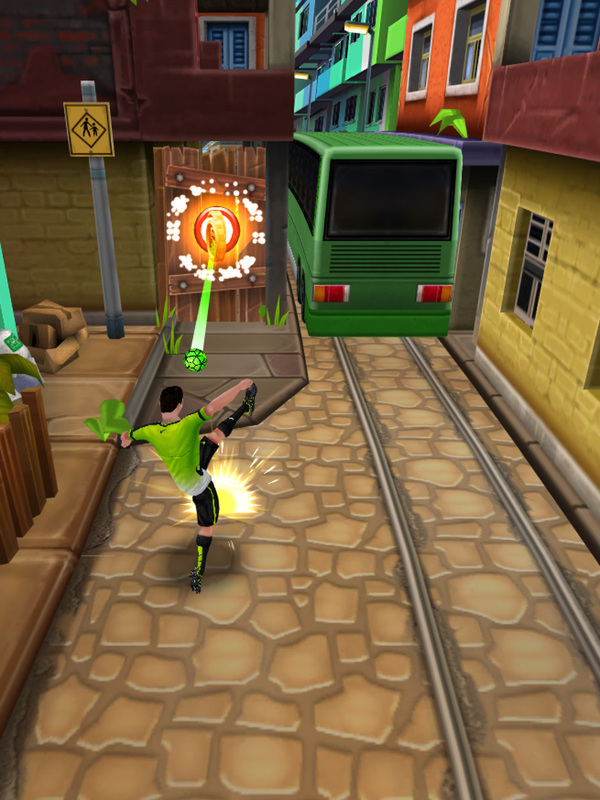 I was responsible for designing the multiplayer progression system, wherein players would collect trophies to increase their rank to climb higher. The rewards for victories and the penalty for losses had to be carefully balanced, ensuring that a casual audience would be consistently engaged with the system at all skill levels. 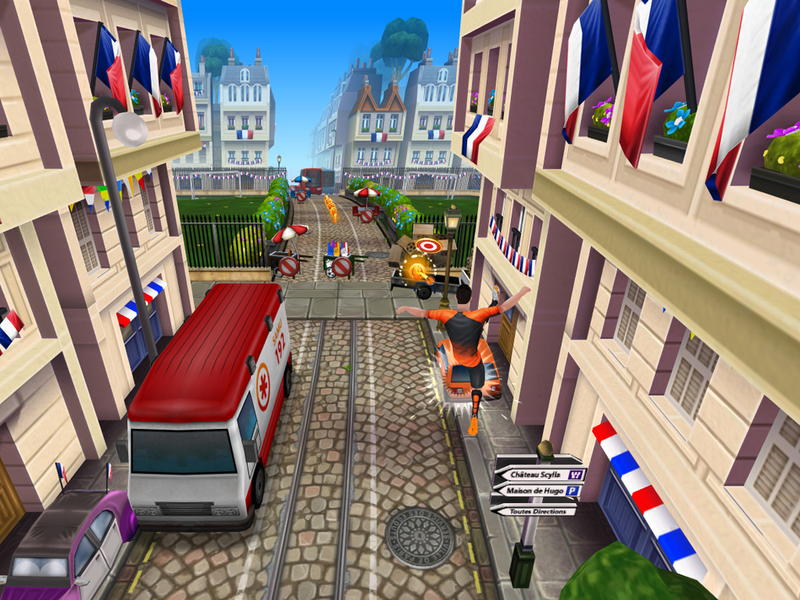 This design responsibility was particularly challenging as Kick ‘n’ Run was not originally designed to be a multiplayer game, though it gave me valuable experience in crafting multiplayer systems.